Again, solid form in clay first. Embracing the s-curve! Hey! 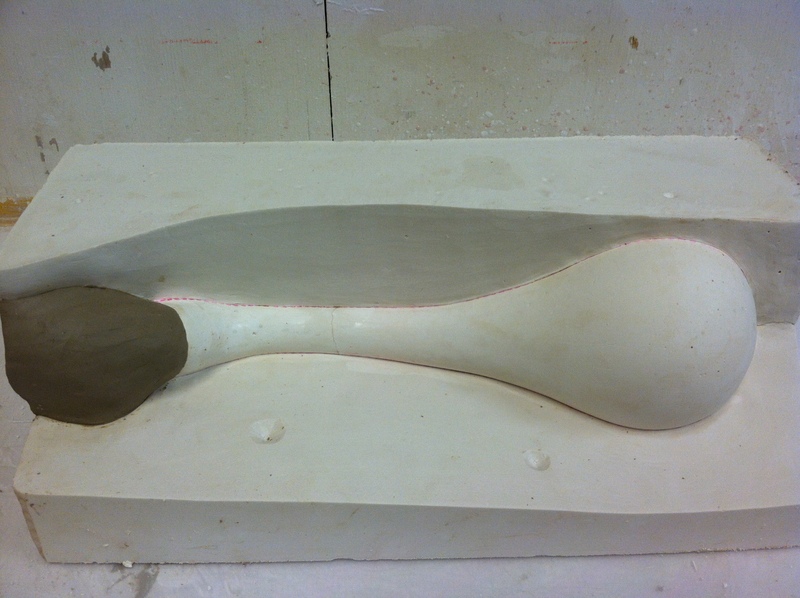 There’s the petal waste mold awaiting a plaster pour! 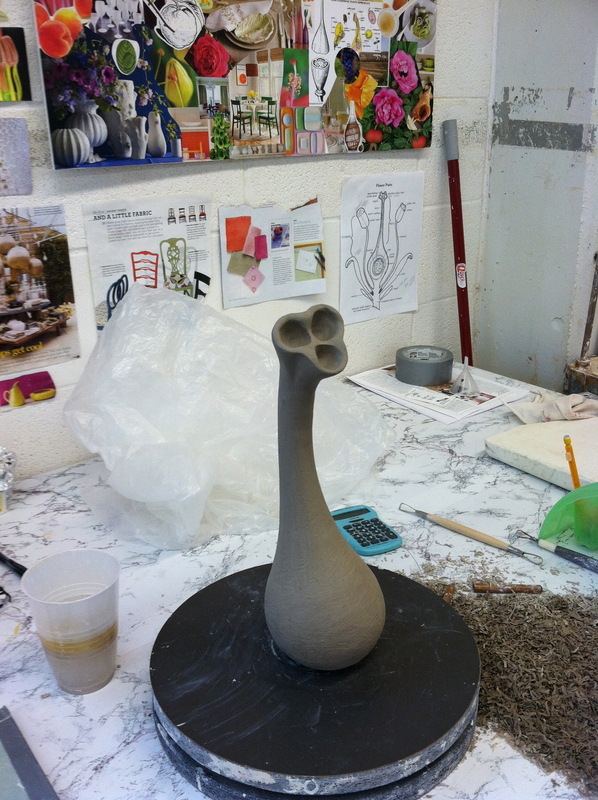 The pistil form is ready to be covered in pink plaster. 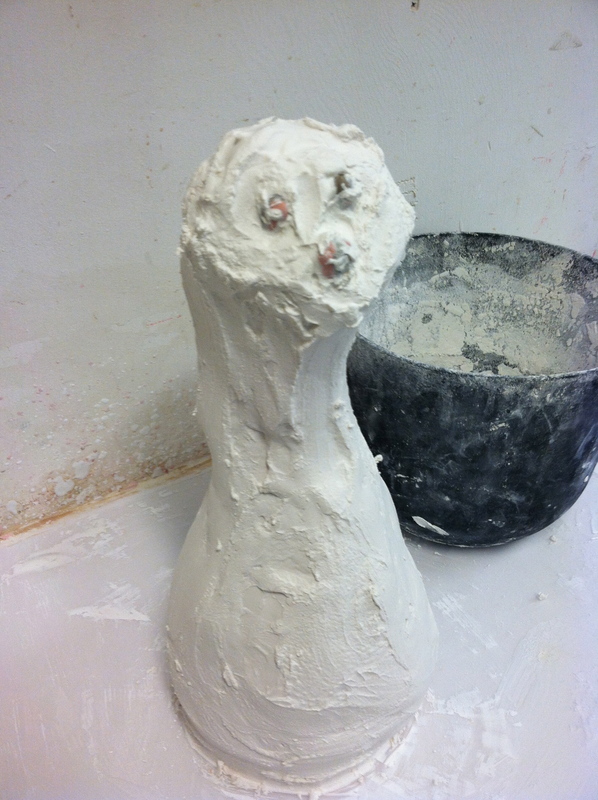 The 3 little knobs were added to make it easier to get the clay out of that end. 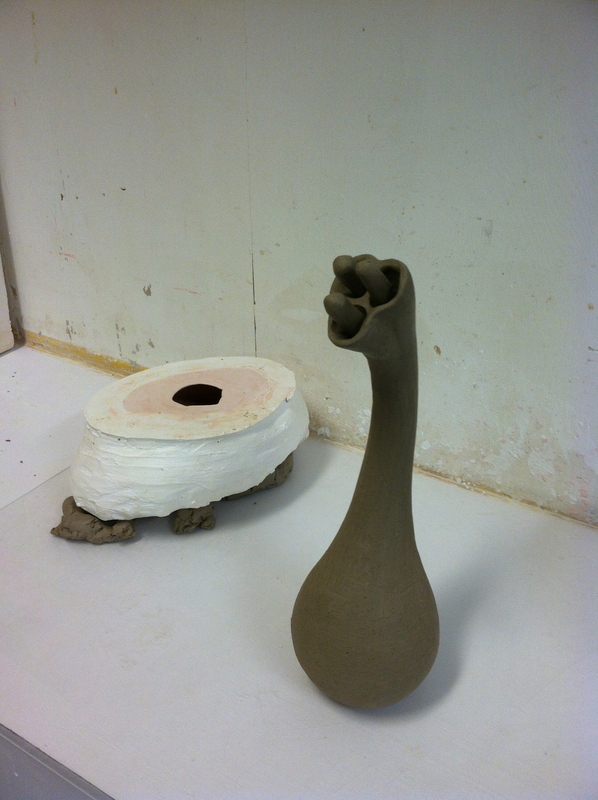 This is my second pistil form and waste mold. 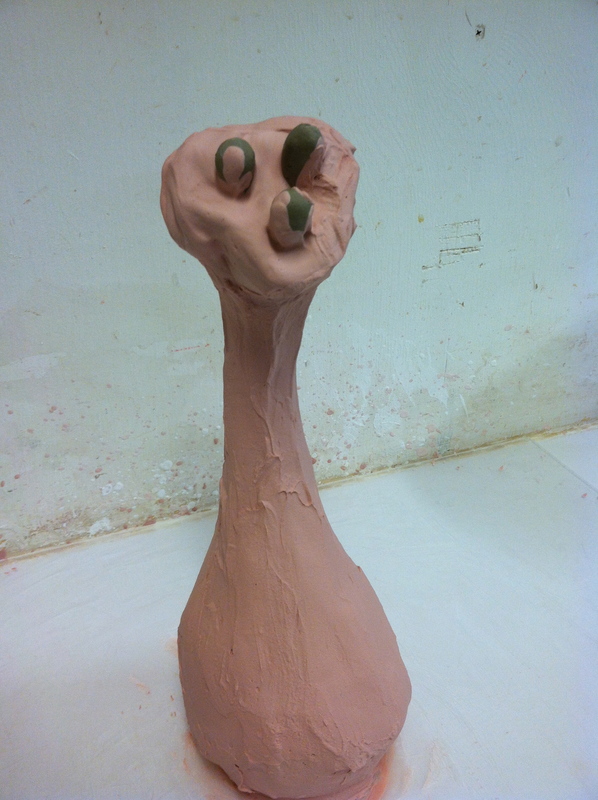 The first was literally a waste, a bunch of clay got stuck in the end. I like this one better anyhow. Second layer. It looks like an owl. 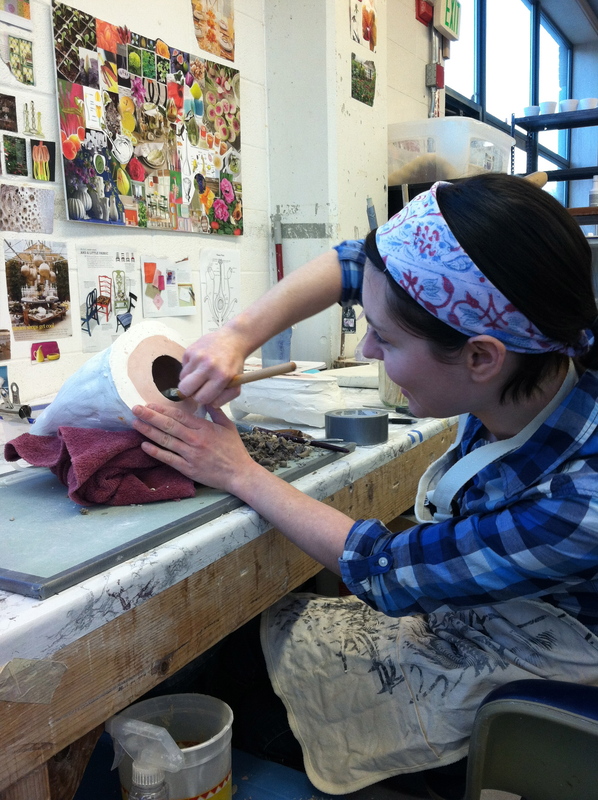 Here I am scooping the clay out after the waste mold had dried. It was tough in the neck area, but it all came out. The little knobs worked! I still had to let some of the smallest sections at the top get bone dry so I could tap them out with a mallet. 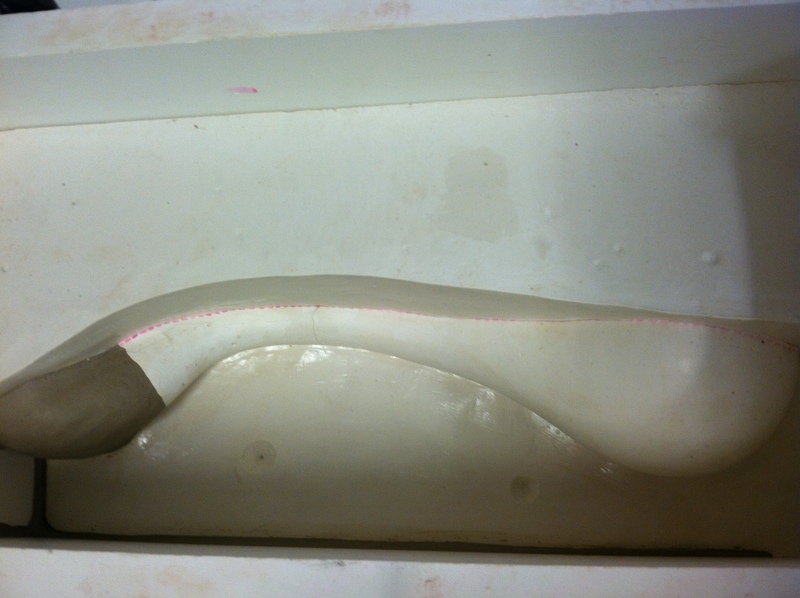 Plaster prototype. 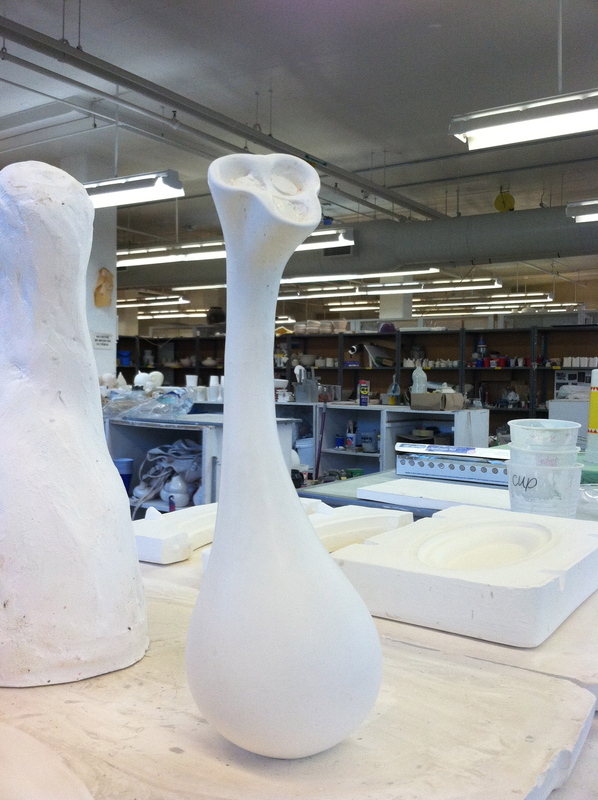 Note, the neck is thinner than the clay version. I waited to thin it out on the plaster form because I was concerned it was going to break in the waste mold if it was too skinny. Well, it broke anyway. I patched it good as new! 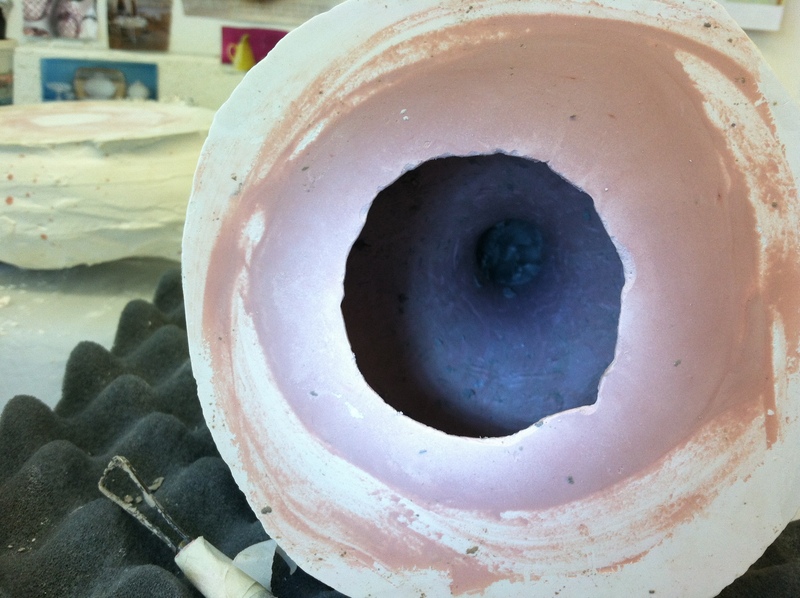 Mold part one. I made the walls too straight and only realized once I poured the plaster. I had to scrape down the sides to avoid undercuts. Getting prepped for part 3. 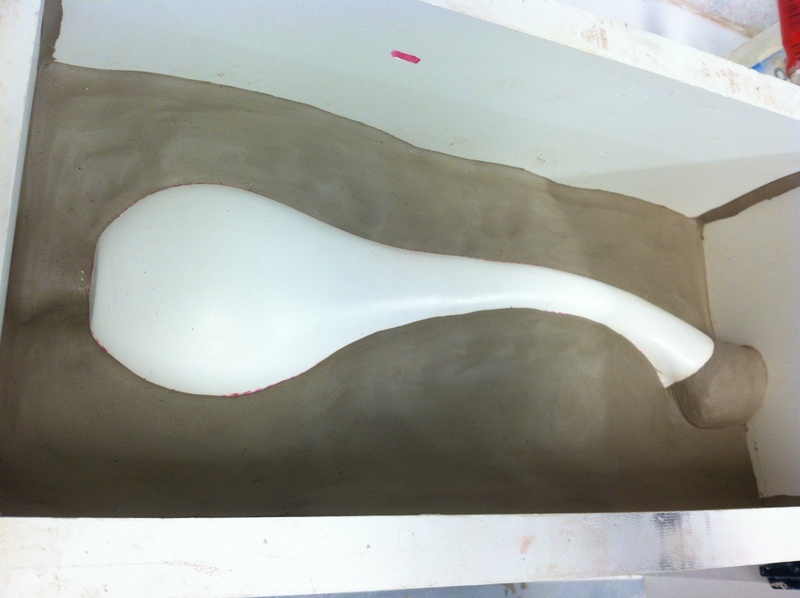 Pics to follow of the finished mold! It came apart easily and is drying now. I hope it works! Amazing form. The sillouette it forms leaves the eye with wonderful curves to follow.